In a disaster, the last thing you want to worry about is your insurance coverage. At Coopers Insurance we have access to all major earthquake insurance carriers and will make sure you have the protection you need for your home and your business. We put our experience, expertise and volume of business to work to provide the best coverage and price available for earthquake insurance. Cover your business! Contact us to find the lowest rates for any or all of your earthquake insurance needs or Click on any of the links below to request a quote today! Commercial Earthquake insurance is a type of commercial insurance that pays a business owner who has suffered a financial loss because property has been damaged or destroyed in an earthquake. Property is considered to be anything that has value. It can be classified as real property or personal property. · Real property is land and the permanent things on it, like buildings, outdoor fixtures, machinery and equipment. · Personal property is all other property that’s not classified as real property, and which can be easily moved. 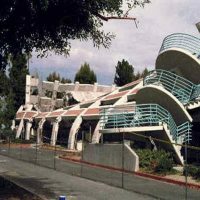 Commercial Earthquake can also include Business Income Insurance to cover the loss of income that a business suffers after a claim while its facility is being rebuilt. An earthquake can be financially devastating to a homeowner. Although earthquakes are a real and present danger they are typically not covered by a homeowner insurance policy. Our stand-alone residential earthquake insurance policy will give you the peace of mind and security you deserve. Earthquake insurance policies offer broad protection for your dwelling, other structures, personal property, and additional living expenses. 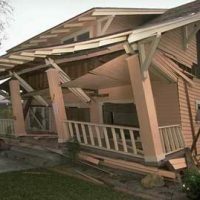 Sometimes an earthquake and/or its aftershocks can cause other events to occur that result in damage to your property. When an earthquake triggers other property losses (such as a bursting water pipe), the resulting loss is not covered, even if the direct cause is a covered peril under your residential property policy unless you have an earthquake policy in force.